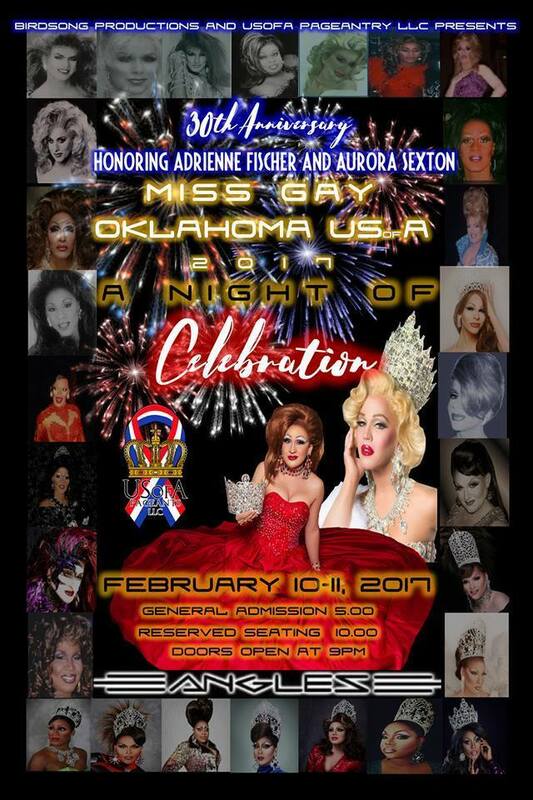 Miss Gay Oklahoma USofA is a prelim to Miss Gay USofA. * Veronica LaCroix won the title but due to conflicts had to step down. The title went to 1s Alternate Adrienne Fischer.